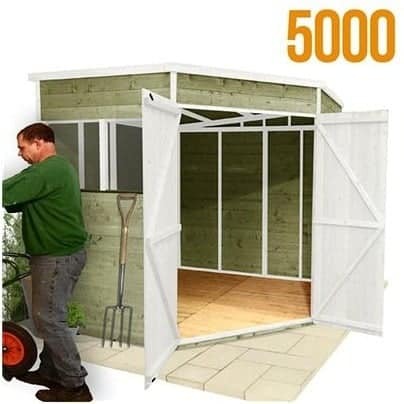 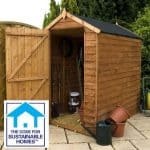 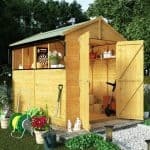 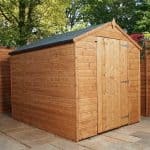 Definitely an extremely eye-catching addition to any garden, the BillyOh 5000 Gardener’s Corner Premium shed is a superb example of outstanding storage and workshop solutions. 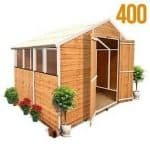 In a stylish, contemporary design and with light and airy windows, large double doors and ample use of storage space inside it makes an excellent choice for garden enthusiasts everywhere. 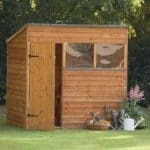 Tongue and groove cladding makes this strong and made from hard wearing wood it will last you for many years to come. 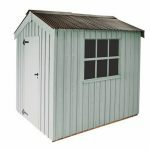 You might also like to see the top 20 Corner Sheds currently on sale in the UK by visiting the WhatShed Corner Sheds award league table.